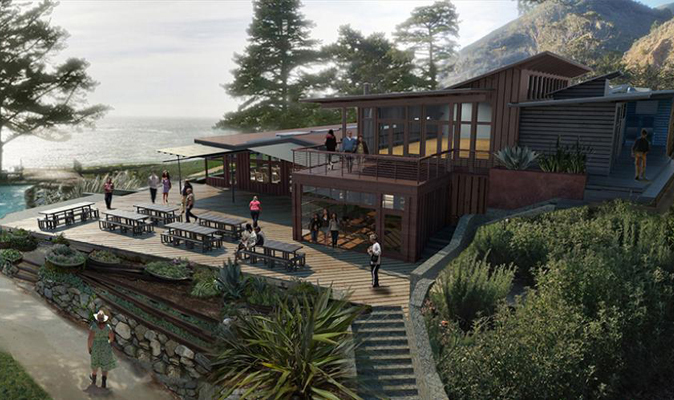 Verdant Structural Engineers (VSE) continues the practice of Kevin Donahue Structural Engineers (KDSE), located on Codornices Creek in Berkeley, California, and providing engineering services to owners, builders and architects since 2003. VSE practices collaborative design, balancing building efficiency and design elegance with cost and environmental goals. VSE continues KDSE’s work on a large variety of projects ranging from home remodels to the new construction of schools, wineries and other commercial and public buildings. Above all VSE is sensitive and responsive to clients' needs. VSE works closely with the project design and construction team to understand the project as a complete system, so that project goals are achieved. VSE is a full service Structural Engineering firm, providing the structural drawing and calculation material required for building permit submittals on a wide array of projects, as well as providing building consultation, expert advice and legal testimony. VSE specializes in projects utilizing optimal and efficient use of conventional building materials as well as projects utilizing environmentally sensitive building materials and methods such as straw bale, rammed earth, cob, adobe and bamboo. VSE continues KDSE’s history of working closely with the natural and green building community to develop standards, practices and procedures for green building practices, having also helped develop the current Straw Bale Appendix Chapter in the International Building and Residential Codes. In addition to California, VSE has practiced in the following states: Alabama, Colorado, Hawaii, New Mexico, Oregon, and Washington. Kevin Donahue has been practicing structural engineering for over 25 years. Kevin’s original background is in mathematics. He earned Bachelor’s degree in Math from Brown University in 1980, and proceeded to branch out into architecture, teaching and music, performing in many well-known Bay Area music venues. He was a visiting lecturer at Cornell University in 1986. In 1989 he earned dual Master’s degrees in Architecture and in Structural Engineering and Mechanics from University of California, Berkeley. Kevin began his structural engineering career with Toft & de Nevers (later Toft, de Nevers & Lee), where he also obtained his Civil and Structural Engineer licenses. Since opening his own office in 2003, he has endeavored to marry the technical with the expressive in his engineering practice, from an interest in working with alternate and “green” building materials, to a collaborative approach to problem solving while working with his architectural and building clients. Kevin is a contributing author to the book Design of Straw Bale Buildings by Bruce King et. al. (Green Building Press, 2006), is currently serving on a task force of structural engineers and architects charged with introducing straw bale construction to the International Building and Residential Codes, and currently resides happily in Berkeley with his wife and their daughter’s cat. As a licensed Civil Engineer, Anthony is deeply passionate about effective material use for all building systems. He strives to assist the natural and green building community by providing leadership regarding developing design procedures for natural and green materials, increasing the safe and effective options available to future engineers. Following his graduation with a Bachelor’s degree in architecture and engineering from Pennsylvania State University, Anthony moved westward to practice structural design and in particular straw bale structural design under Kevin Donahue, SE. Anthony also serves as a board member for the Cob Research Institute (CRI). CRI is an organization in pursuit of making the permitting process for cob and other similar earthen matrices more accessible, with an end goal of an adopted earthen building code for North America. Anthony can also be found throughout northern California and beyond fiddling in his bluegrass band. Although all are always invited to the shows, structural consultation can be limited while on stage. Starting her engineering career on the East Coast, Kelsey worked on a variety of structures including a space shuttle launch pad, bridges, and dams. Since moving to California in 2014, she has focused her career on structural engineering of residential and commercial buildings, merging the skills needed to design for California-specific seismic loading with the ability to support the vision of architects and designers. She has always been inspired by sustainable design, and is excited to be a part of VSE’s work in the green building community. Kelsey holds a B.A. in economics from Mount Holyoke College, a Bachelors of Engineering from Dartmouth College, and a Masters of Engineering from Tufts University. She is a licensed Civil Engineer in California. Outside of work, Kelsey enjoys crafts like cooking, sewing, and knitting, as well as running and hiking around the Bay Area. Wilzen graduated from the University of California, Berkeley with a Bachelor’s degree in Civil Engineering and a minor in Sustainable Design. He has been interested in building things ever since he was a little kid, whether it was out of popsicle sticks, cardboard, paper, or whatever he could find lying around. While he was a student, he was part of the Steel Bridge Competition Team, a member of the National Civil Engineering Honors society, and president of a Filipino engineering club. When not at work, he enjoys DIY projects, learning magic tricks, playing the guitar, and watching sports. Rebecca enjoys supporting the team at Verdant Structural Engineers by managing office operations, bookkeeping, and human resources. Previously, Rebecca worked in a similar role at a nonprofit social enterprise. She has also provided money management services and social services to older adults, and held research and information management roles within the fields of publishing and higher education development. Rebecca holds a Bachelor of Arts in Illustration from the School of Visual Arts and a Master of Social Work from San Jose State University. She has also completed coursework for a certificate in Professional Fiduciary Management for Conservators at California State University, Fullerton. She enjoys tapestry weaving and gardening in her spare time. 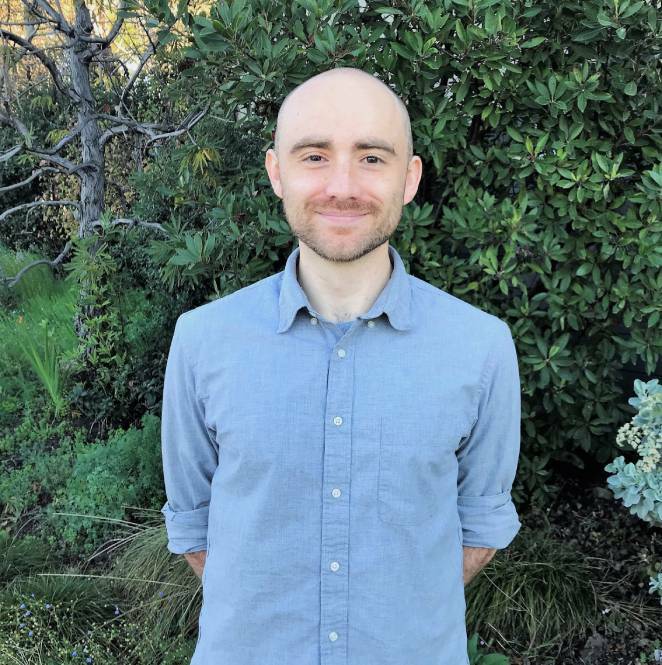 Colt’s life in engineering advanced from Legos and blanket forts to concrete canoes and steel bridges while pursuing a structural engineering degree at UCSD and working as a research assistant at Scripps Institution of Oceanography. Colt has always been interested in the bigger picture, particularly in the fundamentals that make life possible and worth living - shelter, food, water. Following these interests, he pursued a Master’s program in Natural Hazard Management in Taiwan - a country well versed in designing for complications in a dynamic world. After completing the three-year program, Colt found a home at VSE, where he strives to grow as an engineer, practicing sustainable design and learning to apply the best material and solution to the job at hand. When not doing his best for the company and client, Colt may be found on his bike, practicing street photography, or playing with Legos with his housemate’s son. At a young age Jill’s grandfather would bring her into his office to teach her about civil engineering with his own residential design practice. He would show her plans, run through calculations, and bring her to project sites. Ever since, she has had a connection and passion for residential design. 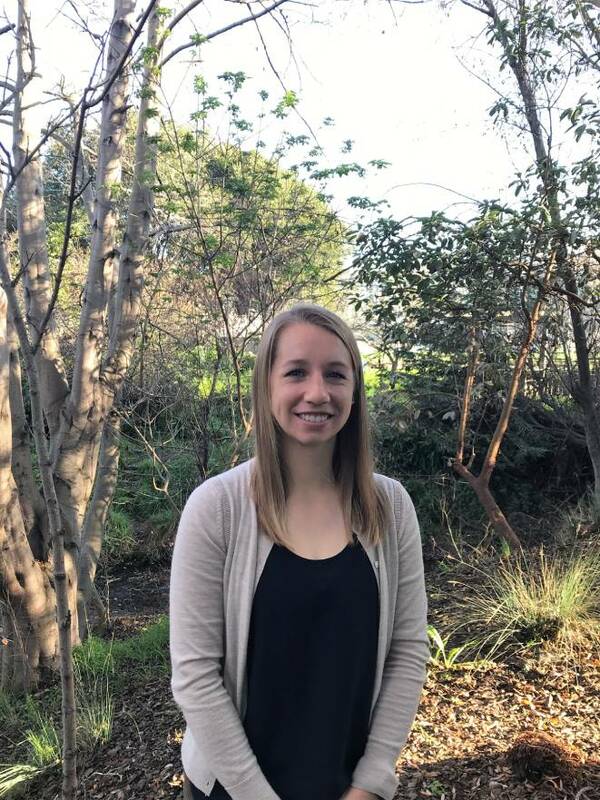 Jill graduated from California Polytechnic State University in 2014 with a Bachelor’s degree in civil engineering, and started her career in the industrial sector. In transitioning to residential design with VSE as a recently licensed Civil Engineer, she is excited to design with alternative and sustainable building materials. In her spare time, Jill enjoys taking fitness classes, finding new hikes, and petting any and all dogs. Elli's passion for design and problem solving began early on when she would complete renovation projects with her dad back home in British Columbia, Canada. If there is one thing she learned during this time it was "measure twice, cut once". After accepting an athletic scholarship, Elli graduated from the University of Vermont (UVM) with an Bachelors degree in Civil Engineering and a minor in Green Building. During her time at UVM, Elli was a member of the UVM Varsity Ski Team where she helped her team win NCAA championships in 2012. Apparently there wasn't enough on her plate at this time as she was also a member of the Canadian National Alpine Ski Team and competed for Canada at the Sochi 2014 Winter Olympic Games in the Slalom event. Elli has since retired from her professional ski career and gained experience in Construction Management in Boston, MA and in Structural Engineering in Bend, OR. She is very excited to join the Verdant Structural Engineers team where she can combine her love of structures and green building to come up with the best design solutions possible for the projects she works on. 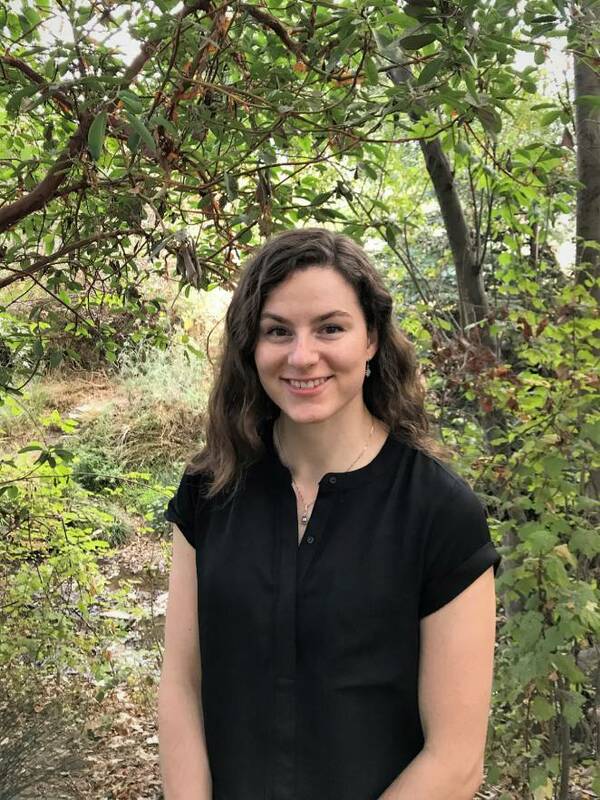 In her spare time, Elli is pursuing a Masters degree in Management of Innovation and Entrepreneurship from Queens University in Kingston, Ontario.